Our Waipu Cove holiday park accommodation options include Kitchen Cabins, Self-Contained Cabins, our Cove Bach, Powered Campsites, Non-Powered Campsites and the Bunk House. Camp Waipu Cove is just a 90 minute – 2 hour drive north of Auckland City, close to Waipu in Northland. Our Waipu Cove holiday park in Northland has three large amenities blocks for guests to enjoy. Each block houses men’s and women’s showers and toilets, large camp kitchens and laundries and all are wheelchair accessible. Camp Waipu Cove has everything you want for a classic Kiwi getaway! Camp Waipu Cove is nestled at the Southern end of the beautiful and unspoiled Bream Bay. Right beside the white sand beach, our clean and well-kept facilities provide the ideal backdrop for your seaside escape. With our range of accommodation including self-contained and basic cabins, a bunkhouse, powered and unpowered campsites, there is an option for every taste and budget. Watch the sunrise on the beach and spend your days swimming, playing and surfing at Waipu Cove. Cast a line out from the sand or take the boat out to some of Northland’s top fishing and diving spots. Enjoy watching the birds at our famous Waipu Wildlife Reserve. Head into historic Waipu for great food, coffee and browsing, and check out the ‘World’s Best’ Waipu Museum. 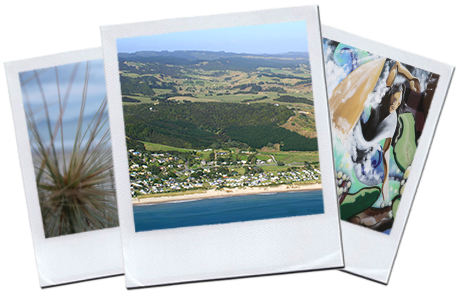 Head inland to explore the Waipu Caves, or take a hike or horse riding trek into the picturesque Northland native forest. The Waipu area is truly a stunning place to escape the hustle and bustle of city life. Camp Waipu Cove has been a Northland holiday haven for generations of Kiwi families, and continues to offer one of the best camping environments in New Zealand to visitors from near and far. We look forward to seeing you here at Camp Waipu Cove, Northland! Our Waipu Cove camping ground has been a Northland holiday haven for generations of Kiwi families, and continues to offer one of the best camping environments in New Zealand to visitors from near and far. We look forward to seeing you here at Camp Waipu Cove, Northland! Our Waipu Cove holiday park accommodation options include Kitchen Cabins, Self-Contained Cabins, Powered Campsites, Non-Powered Campsites and the Bunk House. Less than 2 hours’ drive from Auckland, Camp Waipu Cove is an ideal spot for a weekend break from the city, or to begin your New Zealand holiday. Just head North on State Highway 1 and look for the signs to turn off to Waipu after you have driven over the Brynderwyn Hill.